University College exists for the purpose of helping make student success possible for the traditional and nontraditional students it serves. The staff is organized within seven unique units to meet the specific needs of the community. The Distance Education and Nontraditional Programs unit manages all distance programs, TN eCampus, and MTSU online courses. This group also assists faculty who would like to teach online through Distance Education Faculty Services and provides advising for all students who major in the degree programs awarded by the college. The Academic Outreach unit oversees all off campus programs, including several remote teaching sites, the Middle Tennessee Education Center, and the Adult Degree Completion Program. The Summer Sessions unit provides the administrative support necessary to operate the summer school program at MTSU. 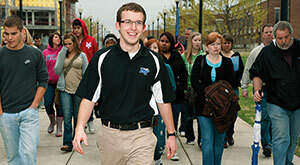 Students can make MTSU Summer sessions a part of their graduation strategy. Summer sessions can help a student stay on track or shorten the time to graduation, reduce the course load in other terms, or focus on courses that need full-time attention. 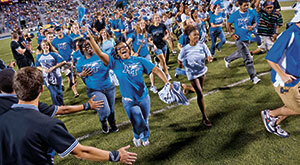 The University Studies Department provides a variety of support services to first-year and transfer students at MTSU. Their purpose is to provide academic placement support, transition support, and academic instruction and help where it is most appropriate for its target audience. The department offers the Bachelor of Science in Integrated Studies degree to students electing a broad-based educational experience. Academic Advising provides academic advising services for University College students. In addition to course selection and registration, advisors provide guidance and information to help undecided students select appropriate majors early in their academic careers. The Administrative and Finance unit manages the human resource and administrative functions of the college. Additionally it houses the Professional Development office which manages hundreds of not-for-credit educational programs designed to meet specific needs of the public, corporations, state agencies, and other individuals and groups. It also manages the Public Services Grants and Awards programs as well as several contracts by which services are provided statewide to meet specific educational needs. The Dual Enrollment unit works with high schools and high school students to offer MTSU courses that count both as high school and college credit. Distance education courses, coordinated through the University College, include online/hybrid TN eCampus online, synchronous online, and videoconferencing courses. Online/hybrid courses are accessed over the Internet through MTSU’s course management system. Only students with strong experience on the Internet should register for an online/hybrid course. Students are required to have access to a computer and the Internet. A photo ID must be presented at all exams. All other assignments and quizzes will be available through the Internet. Students in hybrid classes may have up to 15 hours of required campus meetings, which may include midterm and/or final exams. Additional information may be obtained by visiting www.mtsu.edu/university-college/distance/course-comparision-chart.php. Middle Tennessee State University and each of the colleges and universities previously connected through the Tennessee Board of Regents (TBR) system are working cooperatively to allow students to earn college degrees entirely online. The joint program is called TN eCampus. The online program currently includes a Bachelor of Science degree with a major in Liberal Studies or a Bachelor of Science degree with a major in Professional Studies and concentrations in Information Technology, Organizational Leadership, International Organizational Leadership, and Healthcare Administration. Students must earn a minimum of 120 hours; meet MTSU upper-division, residency, and senior hour requirements; meet MTSU General Education requirements; meet MTSU GPA requirements; and complete the courses outlined in the degree program. 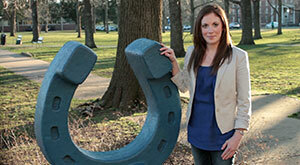 Graduate programs available include Master of Professional Studies and the Master of Education. Other programs available online include transitional licensure, add-on endorsements in Special Education and English as a Second Language, and occupational licensure. Admissions, instruction, advising, library services, and other forms of student assistance are available online. The courses have been designed to be taught totally online in an interactive, asynchronous format. For advisement, please call (615) 898-5611 or refer to www.mtsu.edu/universitycollege/advising.php. Synchronous online courses are accessed over the Internet typically through MTSU’s course management system. Synchronous online classes meet online at the time/days of the week specified in RaiderNet. A reliable computer with at minimum a DSL Internet (broadband) connection is needed to successfully access synchronous online course sessions. Hardware requirements include headphones, earbuds, speakers, and may include a microphone and/or web cam. During the class, students can hear and/or see the professor, and communication with the professor may take place through a microphone or text chat window. Only students with strong experience on the Internet should register for a synchronous online course. Courses may require proctored exams. Additional information may be obtained at www.mtsu.edu/university-college/faculty/docs/DISTANCE_COURSE_DEFINITIONS.pdf. Accelerated Online Courses are offered in two eight-week blocks each Fall and Spring semester. Students may take only up to 9 hours in each block (parts of term A1 and A2). Students may mix accelerated courses with full-term courses (not to exceed 18 hours total) and must register for A2 courses during regular registration. Special permission is required to add A2 part-of-term courses after late registration ends. Accelerated Online Courses may include optional orientations and proctored exams. Some students may earn credits toward the B.S. in Liberal Studies, the B.S. in Professional Studies, or the B.S. in Integrated Studies through a portfolio evaluation of prior learning. For more information, call (615) 494-7714 or visit www.mtsu.edu/adcp/. Credit courses are regularly scheduled at several off-campus locations in middle Tennessee, including Smyrna, Motlow, and Columbia State Community Colleges. These are scheduled as a result of requests made by business and industry, school systems, and agencies. For more information, contact (615) 898-2121 or visit www.mtsu.edu/university-college/outreach/off-campus.php. Off-campus programs and courses are also available at the Middle Tennessee Education Center (MTEC) located at 200 Dover Street, Suite J, in Shelbyville. 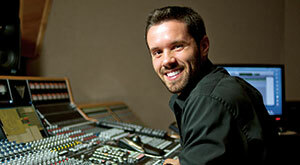 For more information about MTEC and program and course offerings, call (931) 685-4444 or visit www.mteducationcenter.com/. University College directs MTSU Summer Sessions and is charged with the responsibility for providing a comprehensive and balanced selection of high quality summer academic course offerings to enable students to pursue undergraduate and graduate academic degree programs. Working in partnership with all academic departments and campus units, MTSU Summer Sessions is committed to offering outstanding learning opportunities that both complement and enhance the educational experiences offered during the other academic terms. More information is available by contacting the Summer Sessions Office at (615) 898-5783 or by visiting www.mtsu.edu/universitycollege/summer/index.php. The University Studies Department of the University College is committed to providing a firm foundation on which the student it serves can build a clear pathway leading to success within the university structure. The department helps students determine their ideal academic placement while providing an environment that helps them adapt and transition successfully to the university culture. Dedicated faculty and staff provide targeted instruction, support, and direction to entering students and those pursuing a Bachelor of Science degree. More information is available by visiting www.mtsu.edu/universitycollege/universitystudies/ or visiting University Studies in this catalog. Students may also contact the University Studies Department at (615) 898.2568. The Experiential Learning Scholars Program formalizes and organizes several existing experiential learning activities such as study abroad and cooperative education and new experiential opportunities into a comprehensive program of study for students. Students formally admitted to the EXL Scholars Program must complete several activities: EXL coursework, an external service component, an MTSU internal service component, and assessment activities (including development of an e-portfolio). After their completion of EXL program requirements, students will receive an EXL Scholar designation on their transcripts and will wear special cords at commencement to signify their achievement. Some students may elect to take EXL courses, but may not complete all the requirements for the EXL Scholars Program transcript designation. More information can be found at www.mtsu.edu/exl/. Professional Development Training offers a wide variety of programs and topics specializing programs to those interested in developing their professional expertise. We offer our programs in a variety of modes, helping people of all ages achieve CEU’s and certificates, accomplish professional development goals, and pursue recreational and intellectual interests. Our diverse educational opportunities, quality programs, and dedicated service give lifelong learners access to the vast and valuable resources of our university. Hundreds of courses are available online or on demand covering topics as diverse as test preparation, software mastery, professional development, and personal enrichment. The department also offers and designs training programs for the State of Tennessee health and education departments. More information regarding this program can be found at www.mtsu.edu/univeristy-college/training. This office manages a state-certified program designed to meet the educational requirements of individuals who seek to become licensed Emergency Medical Technicians (EMT). The program is developed with two courses (1) Emergency Medical Technician (EMT) and (2) Advanced Medical Technician (AEMT). Students who successfully complete this course are eligible to take the National Registry of EMT’s psychomotor and cognitive exams which lead to certification at the EMT level in Tennessee, as well as with the National Registry of EMTs. More information regarding this program can be found at www.mtsu.edu/university-college/training/emt.